SISS (Italian Society of Soil Science). 40th National Rome Congress 1-3 December 2015. 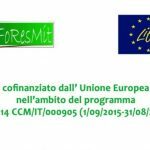 Recovery of degraded pine forests for the restoration of environmental sustainability and the mitigation of climate change – the LIFE FoResMit project.